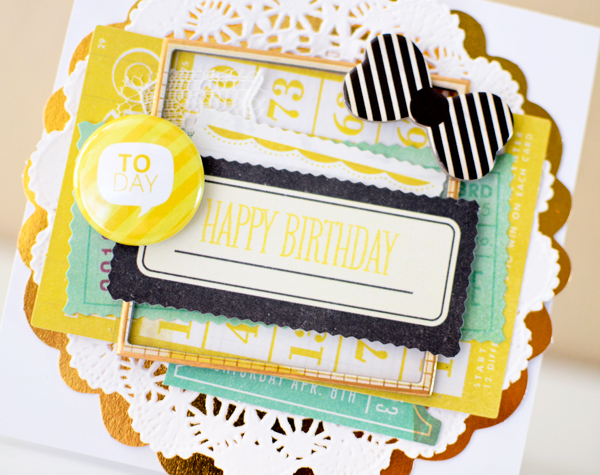 spring is most definitely in the air and i am focusing heavily on it in my projects lately. 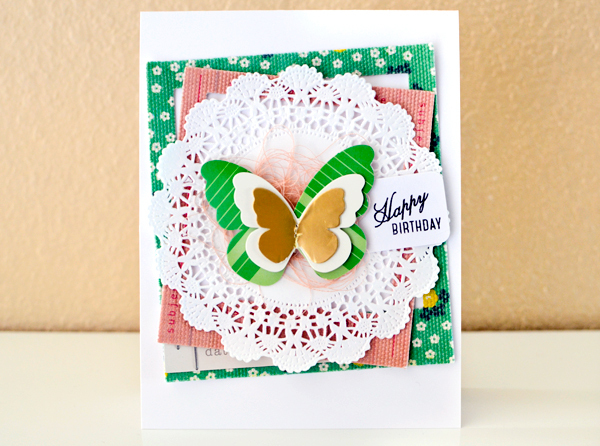 i can't help myself--the colors, the birds, the butterflies, the florals--they're all so pretty. 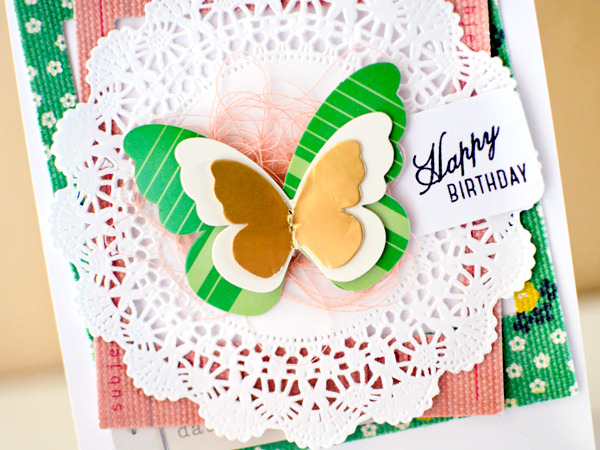 back in March, i spent a few days making cards with the Flea Market collection from Crate Paper. 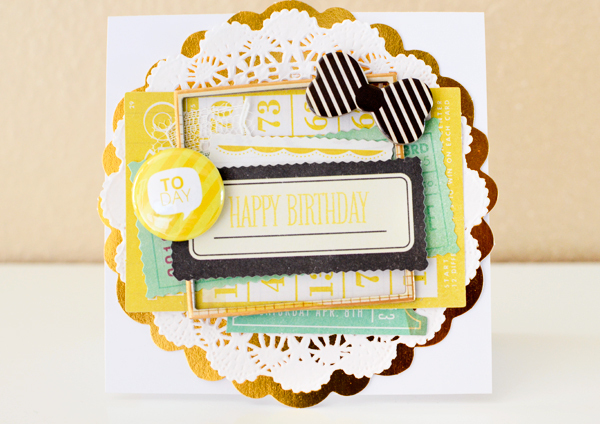 it was the 2nd line from Maggie Holmes and my most favorite that she has done. 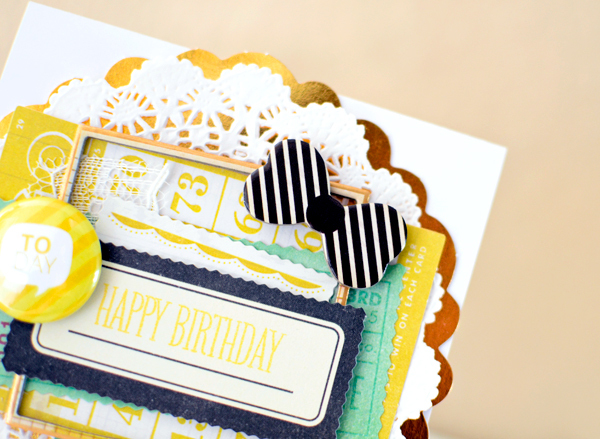 this card is only embellished with a handful of items, but that's one of the things i like most about it--you don't always need to pile on the details. 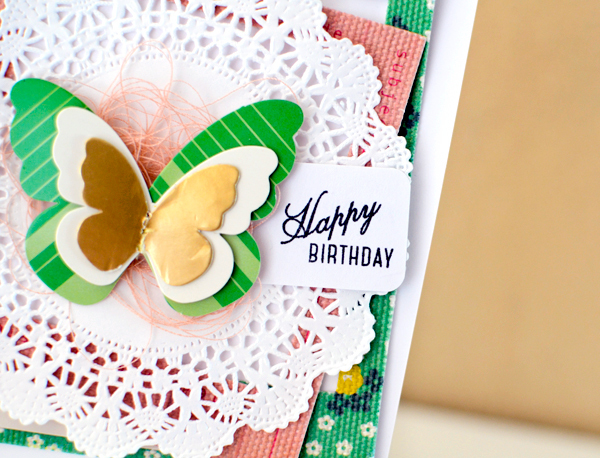 each element is textured, too, from the canvas photo frames, to the paper doily, to the gold foil of the butterfly Standout, so again, not much else was needed. i hope to be back again in a few days, but just in case i'm not, have a great week! as always, thanks for stopping by!